Restylane® Silk is a hyaluronic acid dermal filler designed to improve the appearance of vertical lip lines (wrinkles around the mouth) and fill and plump the lips. 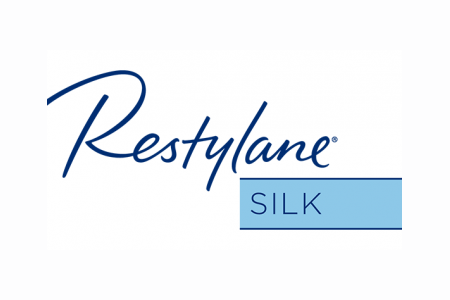 Restylane® Silk is made of smaller gel particles, which make it perfect for achieving natural-looking results. It can be molded and shaped to give you the perfect pout. How long do Restylane® Silk treatments last? In clinical studies, the results of Restylane® Silk lasted approximately 6 months following treatment. In a U.S. clinical trial involving 221, mostly female subjects, 98% of subjects reported a visible improvement in lip fullness in upper and lower lip (combined) 14 days after injection, and 77% still had lip improvement at 6 months following injection. What are the potential side effects of Restylane® Silk? Restylane® Silk is used for lip augmentation and for correction of perioral (around the mouth) wrinkles in patients over the age of 21.